James and Christy Richard, owners, are both registered nurses (RN’s) with over 20 years of experience. They met while in nursing school and connected through their passion for caring for others. While in their first semester of nursing school, they became aware of the growing need for quality elder care in their community. Witnessing substandard accommodations and care given to seniors in the most vulnerable stage of their lives affected Christy and James’ lives and motivated them to impact a change. They spent the next several years honing their nursing skills and building a knowledge base to pursue their dream of providing excellent above standard care for your aging loved ones. James has a vast nursing background serving his community in both area hospitals. He was a Trauma/ICU nurse for 7 years serving on emergency response teams for our community. He transitioned to Hospice care for several years where he also worked in a management capacity. He left management to return to his passion as a bedside nurse where he felt a real difference was being made. James also received a Bachelor's Degree in Business Administration from UCF. Christy has worked as a Labor and Delivery nurse in both area hospitals. She brings a nurturing and caring perspective to the care of Selah's residents. Christy also has a degree in Child Development and Education. 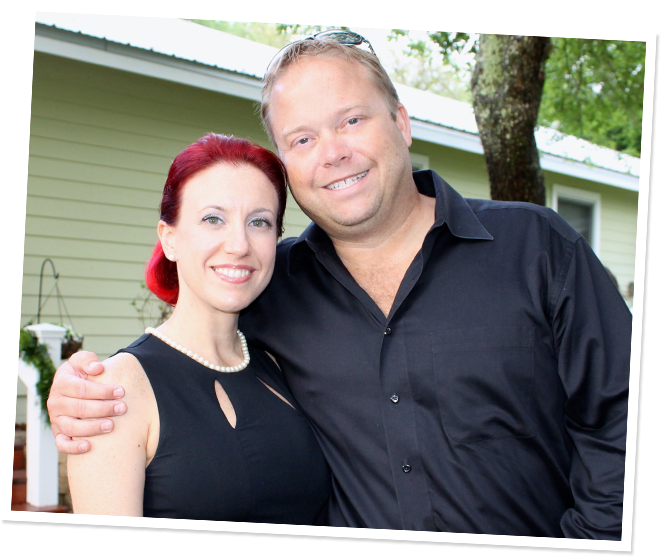 Both are long time residents in the Port Orange area and have spent many years fostering positive and professional relationships with the doctors and hospitals in the area. Opening an assisted living facility was always a goal the Richard’s both wished to achieve. They fulfilled this dream in 2015 with the grand opening of Selah Assisted Living Facility in Port Orange, FL. They have set out to mark the standard that all other facilities can be held to. James and Christy believe that each person should be treated with dignity and respect, and given the tools that help fulfill this resting stage of life. The owners believe in individualized care that focuses on the whole person and share these values with the staff they have hired by bringing team members aboard who share in their passion.